Before iOS 7, when multitasking was basically a non-feature of Apple’s mobile operating system, tweaks like Auxo made app switching a beautiful, functional experience. Even though multitasking boasts much more fluidity these days, we were no less enthused when A3Tweaks announced late on in February that Auxo 2 would be arriving for iOS 7 within a few weeks. Unfortunately, it’s not quite ready for prime time just yet, but things are certainly progressing, as displayed by a new teaser shot posted to Vine. The snap displays the keypad screen of the Phone app while using Auxo 2, and although the image is blurred so as not to spoil the surprise, we’re definitely very excited about Auxo 2’s arrival. By the looks of things, the tweak will be taking things full screen, and as well as looking better, will likely pack in some exciting new, performance-enhancing features. Obviously, the key details, such as full feature list, price and availability, have yet to be disclosed. However, as soon as this info is released, we’ll be sure to let you guys know. To give you an idea, meanwhile, the original Auxo tweak was priced at $1.99, although with it having been rebuilt from the ground up and, by the looks of the obscured video, greatly expanded from its original state, it wouldn’t be surprising if the improvements warranted a slightly increased cost. But it would be great if the tweak comes as a free upgrade to those who have already purchased the original Auxo tweak. 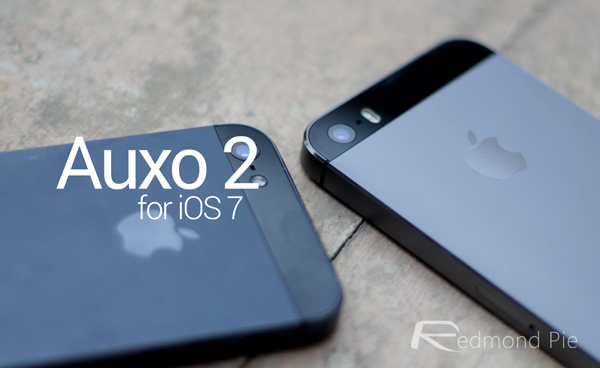 The Auxo 2 announcement was made last week, and at that time, A3Tweaks noted that it would be released within a month. So in less than three weeks, we’ll finally be able to see what’s in store. Multitasking has vastly improved with iOS 7, but there’s always room for improvement, as the sheer number of post-iOS 7 multitasking-related tweaks has demonstrated. Auxo was arguably the best in the business, though, hence why the jailbreaking world is eagerly counting down the days until its successor arrives. We’ll let you know as soon as Auxo 2 manifest itself at the BigBoss repository, so stay tuned to our coverage here at Redmond Pie!